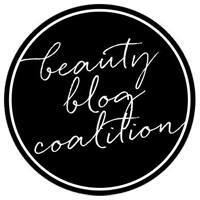 Ashley is PolishAddicted: Beauty Stop Online Giveaway! Giveaway has ended - please check the widget to see if you are the lucky winner! Beauty Stop Online has kindly offered a $35 gift certificate to one of my lovely readers! Beauty Stop Online offers nail polish, cosmetics, hair care and so much more - you don't want to miss the opportunity to win this prize! This giveaway is open internationally! Good luck! Thanks, I don't have instagram!